Kyrie Irving is one of the best basketball players in the NBA and he also has some of the best conspiracy theories too. You probably remember when Kyrie tried to convince all of us that the world is flat, although he did walk that one back pretty quickly, saying he was just trolling. Either way, Kyrie is allowed to believe whatever he wants, even if it completely counters everything that real science has taught us. While UFO's aren't exactly a conspiracy theory, they're still in that realm if you take the idea of their existence to a certain place. 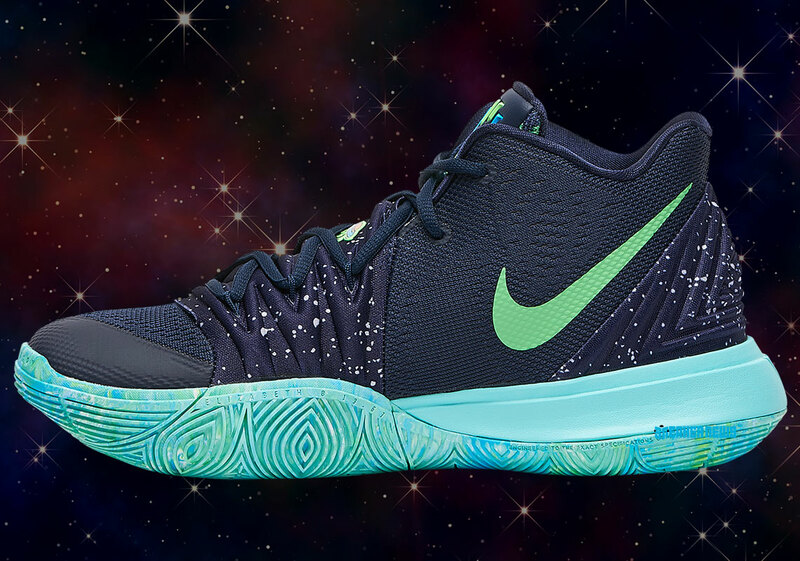 Well, with Kyrie's latest Nike Kyrie 5, dubbed the "UFO," it looks like Irving is going all the way with it. 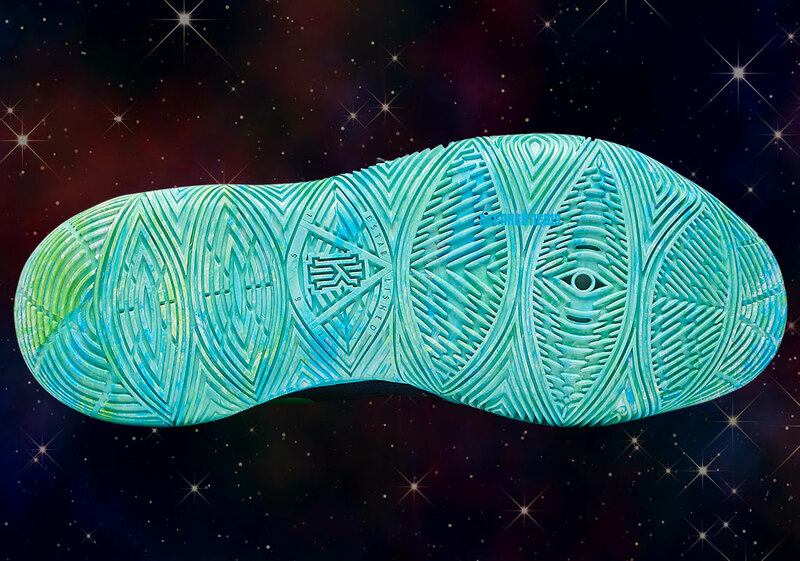 The shoe is mostly navy blue, with light blue and green accents on the midsole and on the Nike swoosh. 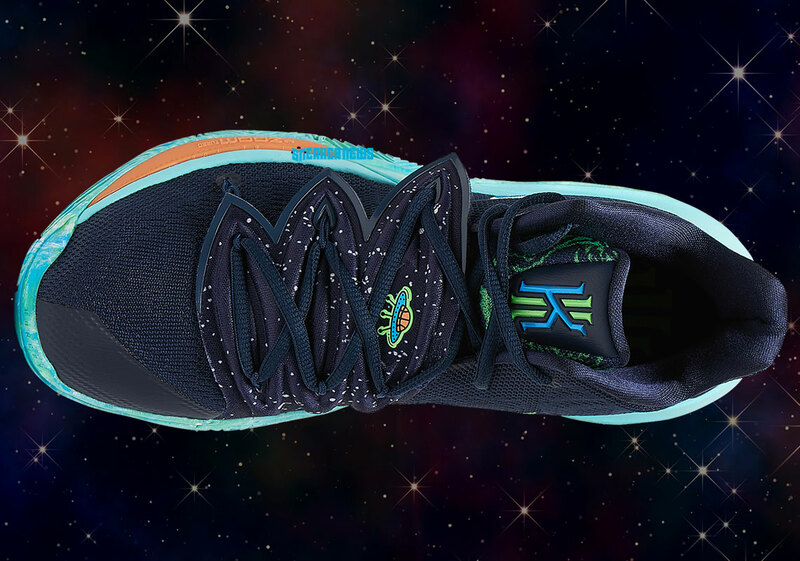 They're some pretty cool colors that definitely accentuate the UFO theme of the shoe. 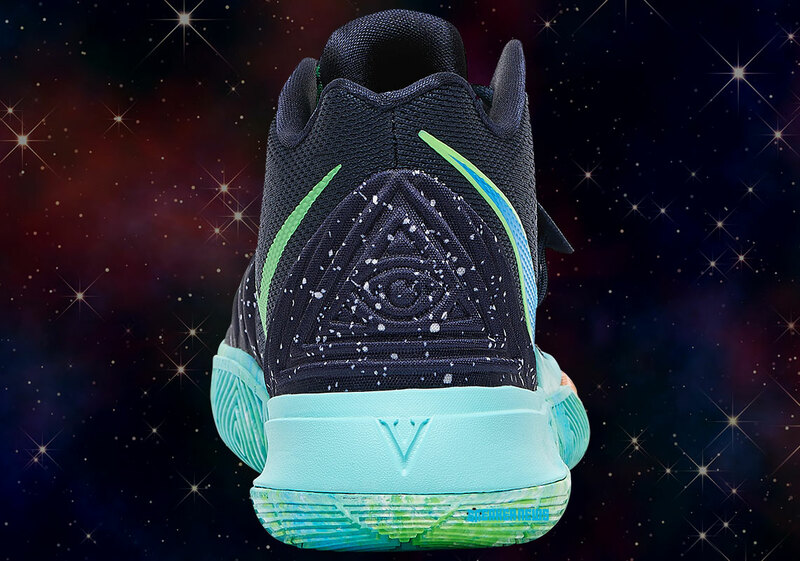 Making this shoe complete the conspiracy theory look, is the Illuminati symbol that can be found on the back heel as well as the outsole. Meanwhile, there is also a UFO symbol on the front. If you're looking to cop these, they will be available at stores such as Foot Locker on Saturday, April 20th for $130 USD, according to Sneaker News.